Most companies that require product packaging use compressed air to generate vacuum in the packaging process. Vacuum generated blister packaging can be used to move ingredients, food and pharmaceutical products just to mention a few. Vacuum plays an essential role in the production of packaging and the packaging process. Packaging can be precisely formed, coated and thermoformed using vacuum techniques. At Airtech Vacuum Incorporated, we manufacture a wide range of vacuum systems which are custom engineered to provide superior performance in many applications, including the vacuum generated blister packaging. Products that require vacuum generated blister packaging are usually sensitive in nature and they require special handling so as not to compromise on the product’s hygiene, freshness, flavor, and appearance. For instance, most pharmaceutical products require vacuum generated blister packaging because the content are not supposed to get into contact with oxygen or air contents which can compromise their quality. There are various challenges that most companies go through especially when looking for the right equipment for packaging solutions. At Airtech, we have the solutions for blower and vacuum applications which include blister packaging which is often vacuum generated. The L pumps also known as liquid ring vacuum pumps are very efficient when it comes to thermoforming of blisters. These vacuum systems ensure that all packaged materials are kept safe and away from external contaminants that can affect the quality of the product. Why Choose Airtech Vacuum Incorporated For Vacuum Generated Blister Packaging? Are you looking for reliable systems for vacuum generated blister packaging? Look no further. 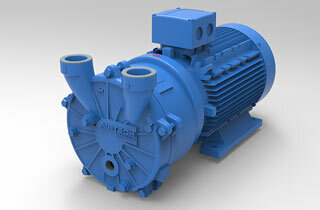 At Airtech Vacuum Incorporated, we have amassed more than 30 years of experience in vacuum and pressure technologies. Our team of engineers works tirelessly to ensure that they provide vacuum systems that can be used in most application. Apart from offering ready to ship products, we can custom engineer vacuum systems that fit your needs to ensure efficiency. All our products are of high quality and you can rest assured our products offer superior, reliable performance since our company is ISO9001-2008, UL-, CE-, RoHS-, and CSA-certified. Airtech understands that when it comes to vacuum systems, different applications require special features. Clients enjoy their shopping experience with us since we have friendly representatives on standby to answer any product queries you may have. We take cyber security very seriously and we ensure that all our clients’ personal and purchase data are kept safe. Look through our inventory today to check out the vacuum generated blister packaging systems and place your order online.